Saturday I spent the day with family. Every 3 or 4 months my mother likes to get all the cousins together for a fun afternoon. Why? I’m not too sure. My mom is big on family and that’s wonderful, except each and every time we gather I am reminded just exactly how much I differ from the rest. They are all nice and ask about what we do – but to put it simply, they are conservative and I am not. They are catholic, and I am not. They believe that fault is all “THIER” fault (for being black, poor, hispanic you name it) and I don’t. They are white, middle class, religious racists – and I don’t fit in. But I go to keep the peace. Sunday we spent lolly-gagging around. I kid you not. Yoga, lunch, ice-cream and a trip to Joanns’ for supplies. I had originally planned a crafty project for today’s make it monday post but then could not find the paint anywhere in my house. I asked Jaia to look in her room (not there supposedly), I looked in my sewing area, the school craft area – you get the idea. Nowhere to be found. 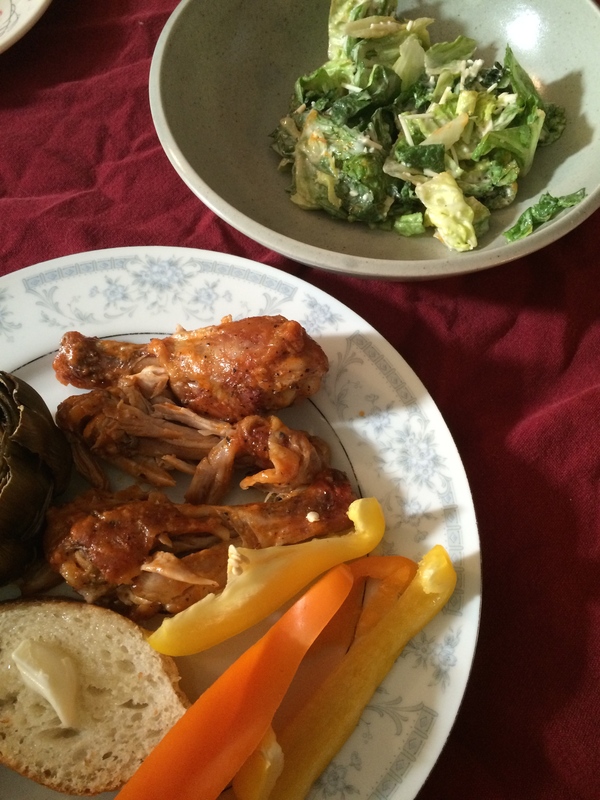 So I picked a favorite dish to share with you all! 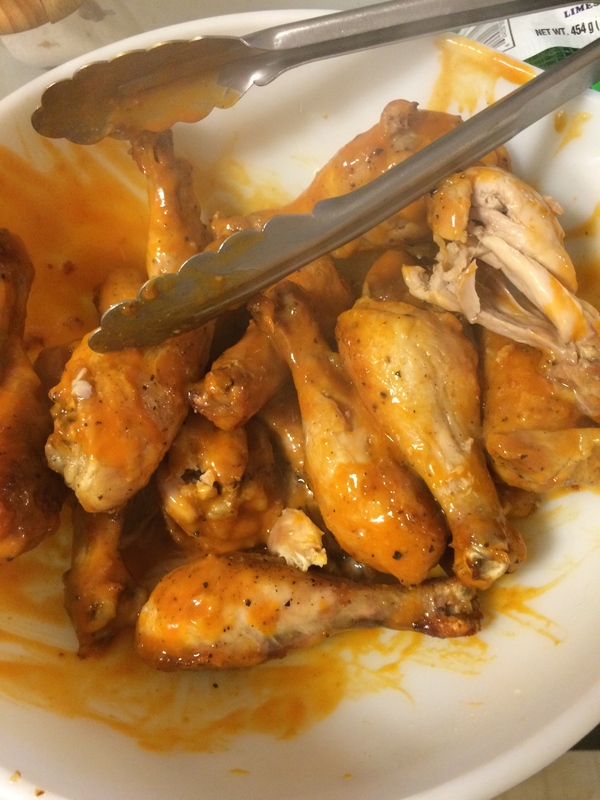 My family LOVES hot wings. 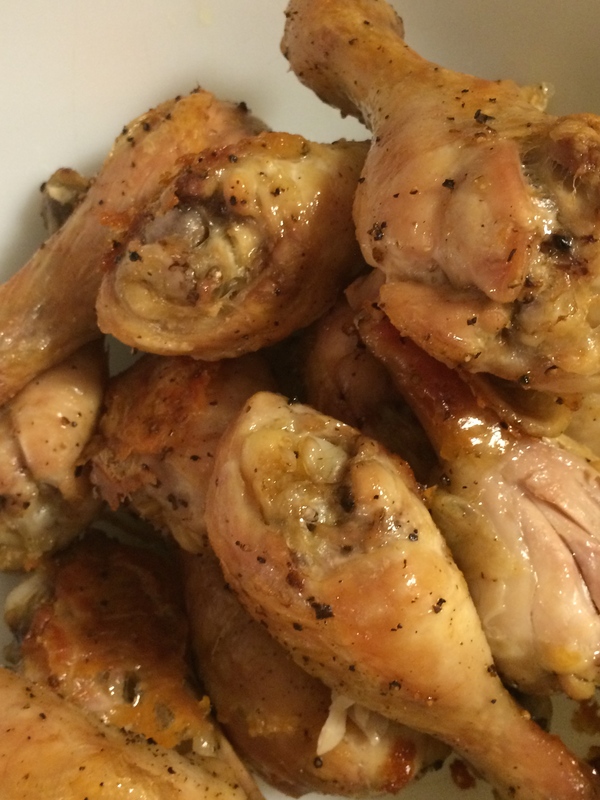 I don’t – I find the work to eat the tiny amount of meat off the chicken wings so not worth the effort! 🙂 So this was my compromise. 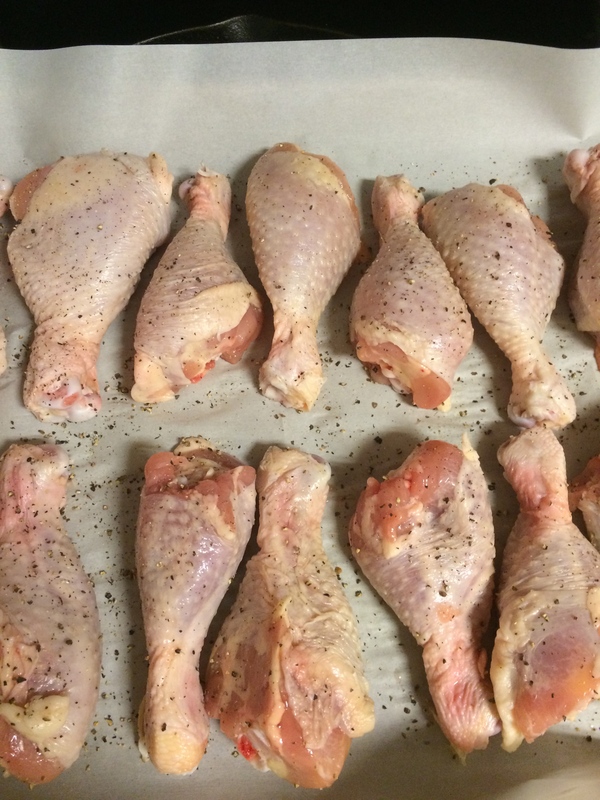 You’ll need 3 to 4 chicken legs per person. Salt, pepper and olive oil. 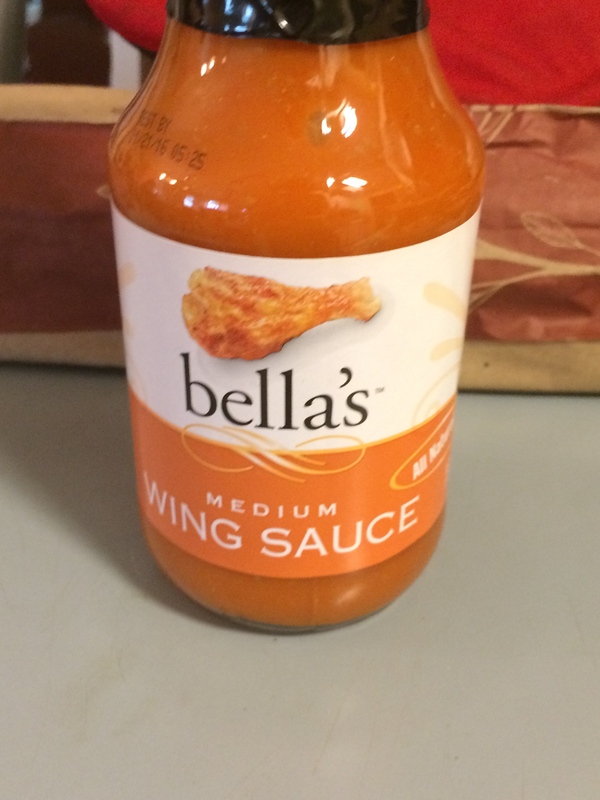 And your favorite hot wing sauce – we like this from Whole Foods – but anything will work. BBQ sauce, Teriyaki sauce ……. 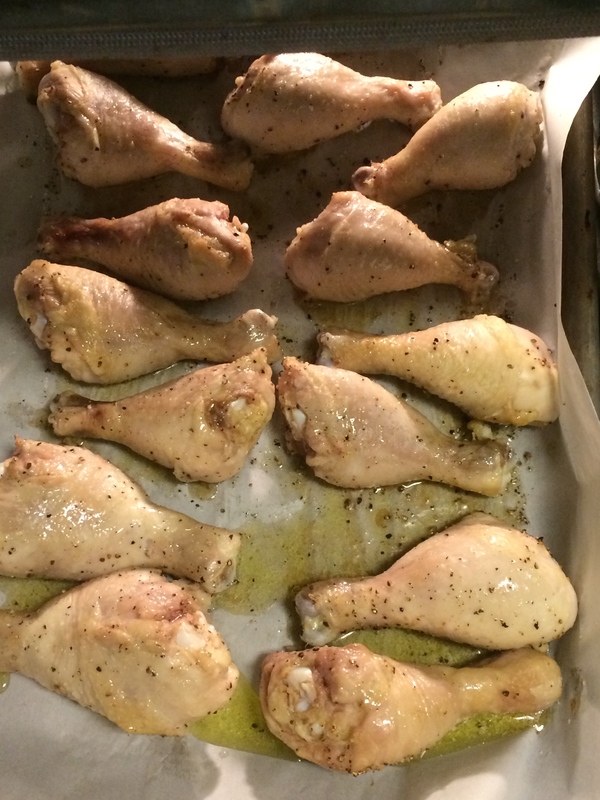 First salt and pepper and olive oil the chicken legs, both sides, and lay them on an even layer on a cookie sheet covered with parchment paper. Cook for 15 to 20 minutes at 400*, flip and cook for another 15 minutes. Bump the heat up to 450* and cook for another 15 or so minutes until they are nice and glazed and cooked throughout – so good! And there you go! Dinner in under an hour! 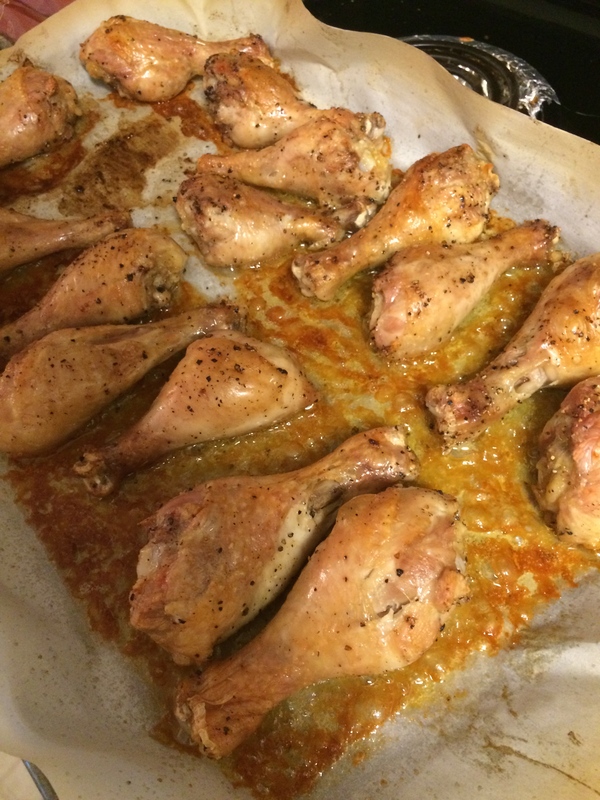 I served the hot legs with some delicious french bread warmed in the oven, baked artichokes, caesar salad and raw veggies to cut some of the heat. It was literally “fall off the bone” good!